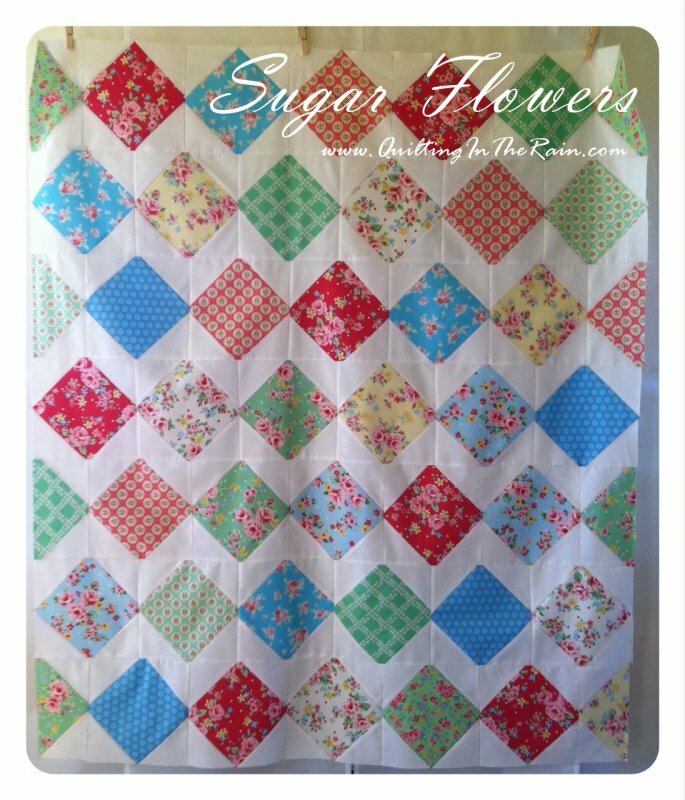 "...This is a great quilt to showcase your favorite fabrics. 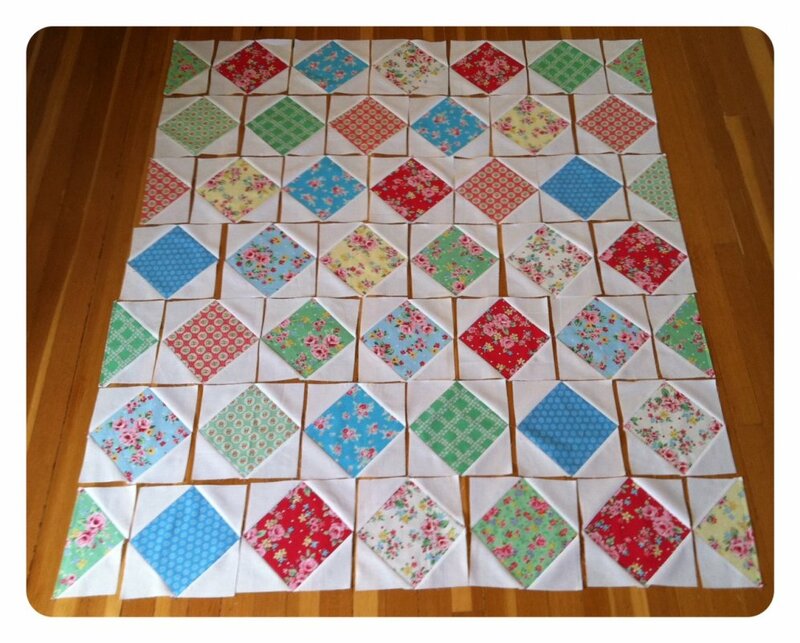 It's a simple quilt that's made up of 46 of these blocks (click tutorial link below for block pics). "In this tutorial I've also included an optional technique that shows how to turn the corner scraps into half triangle squares - these can be saved for my next tutorial or for whatever you want, so long as you don't throw away those precious scraps! :) Being a fabric addict, the thought of those babies at the bottom of the bin pains me! Enjoy the tutorial!"